Closing in on the last few weeks of this tour I find myself making plans for the next day’s ride, then waking up the next morning and heading in a completely different direction. 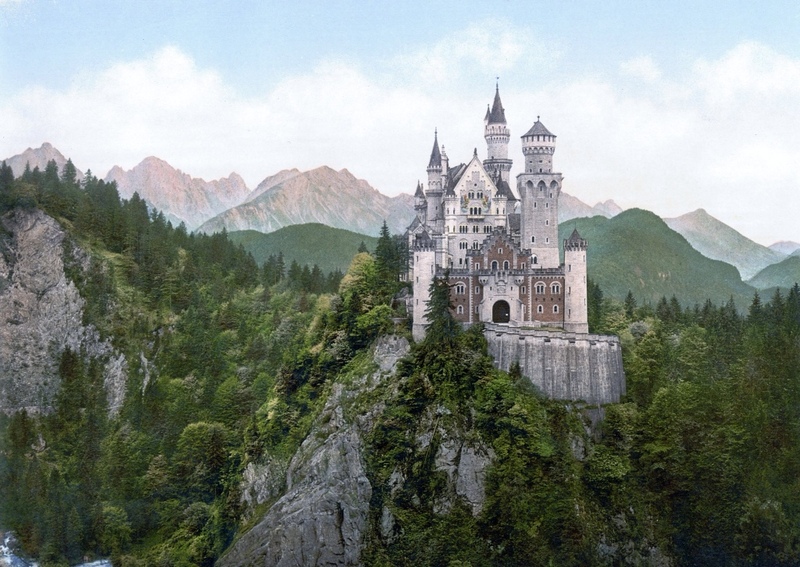 The first time this happened I had fully intended to head back north to catch the Danube, but instead heard about the Neuschwanstein Castle (New Swanstone) from another cyclist and just had to see the inspiration for the castle at Disney World. This led me in a south westerly direction for an entire day of climbing. Back to the Alps! It was a stunning ride that ended at a lakeside campsite within sight of the castle and a backdrop of craggy snow peaked mountains. The weather the next morning was pretty dismal so I donned my rain gear and rode to the base of this unreal site. I can’t claim credit for the first pic below (mine all turned out pretty grey), but I needed to make sure I shared the grandeur of this place. I was content to ride around the base, dodging a thousand tourists that were so enthralled that they weren’t watching where they were going! It is really difficult to describe the beauty of these places. It is similar to the way my imagination seized upon MiddleEarth the first time I read Tolkien, except this time, I was actually there! I know, big nerd..
From the castle I made for Lake Constance. 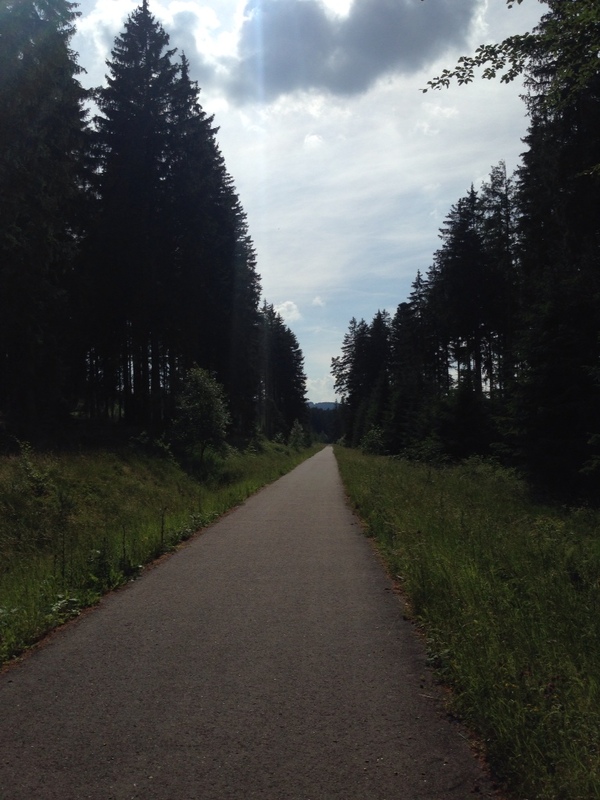 Google Maps showed a bike trail lining the perimeter of this natural barrier between Germany and Switzerland. I couldn’t resist. Weather cleared and within a day I was riding north again along this pristine lake. 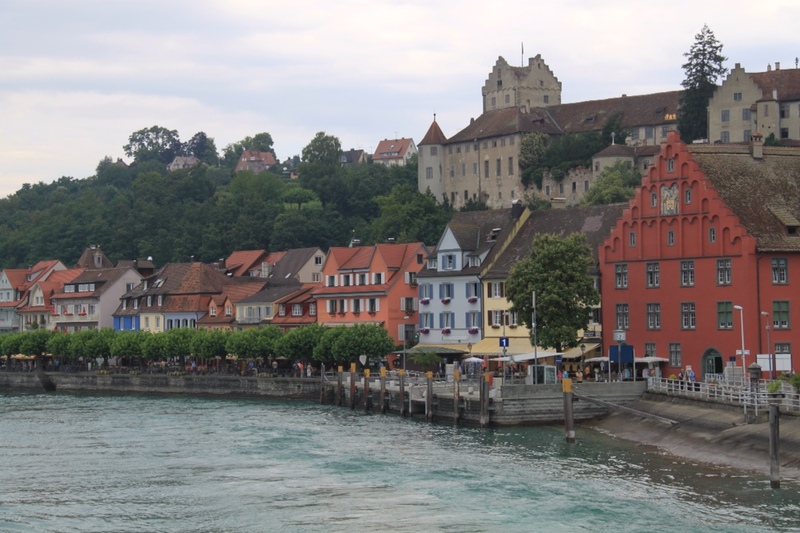 I intended to just keep heading north, but then spotted a ferry that crossed the lake to the city of Konstanz. I’d heard of this place, the only major German city to escape bombing due to the fact that half of the city lies within Switzerland. 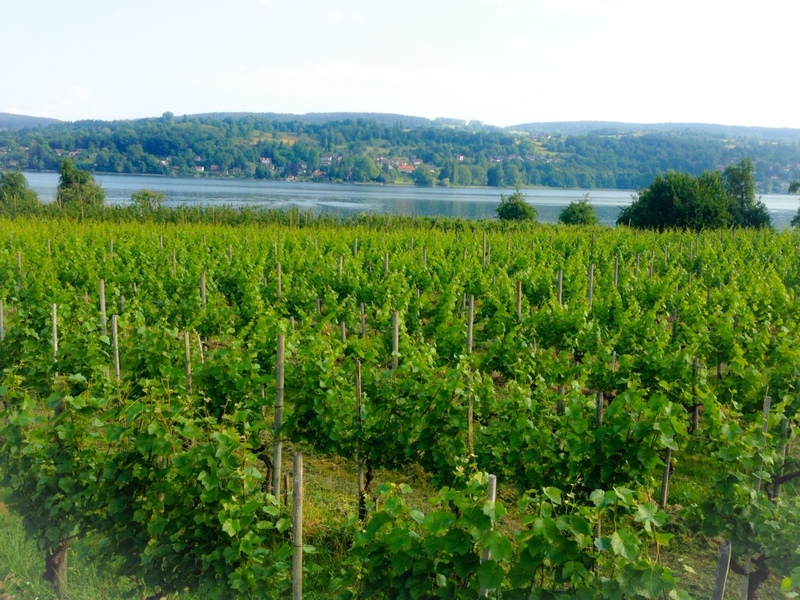 Konstanz is split right down the middle by a short portion of the Rhine that connects two giant lakes. I crossed a bridge with students jumping off what looked like a pretty big leap to me and suddenly found myself in Switzerland. Wasn’t really part of my plan, but why not! This kind of freedom won’t likely come often when I get back to Indiana. 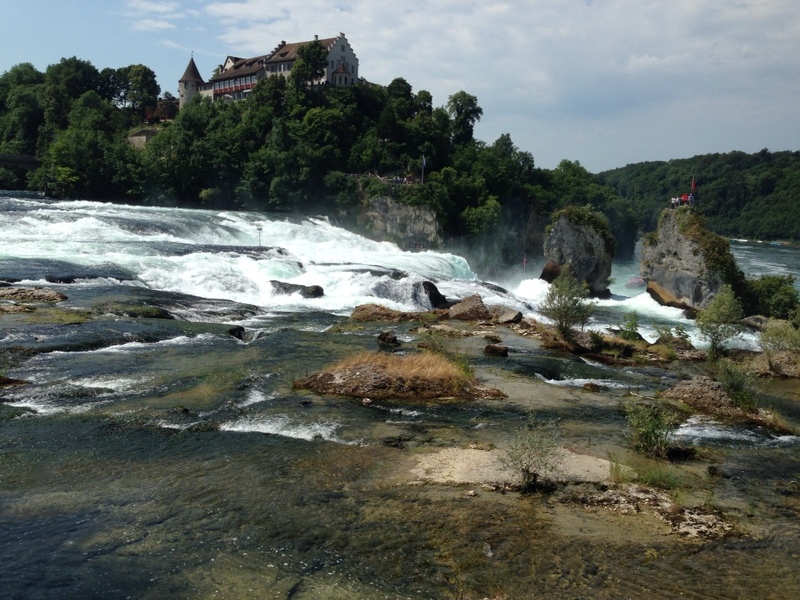 I re-entered Germany where the lakes narrowed into the Rhine and made my way to Rhinefalls, largest waterfall in Europe. Truely stunning! The Black Forest is one of those places you hear about in childhood and never fully believe inhabits the same planet that you do. It is the source of many fairy tales, dense stands of ancient spruce, wood crafts and of course, Black Forest ham and chocolate cake. I managed to get lost several times and found myself pushing bike and gear up a steep logging trail to get back of track. 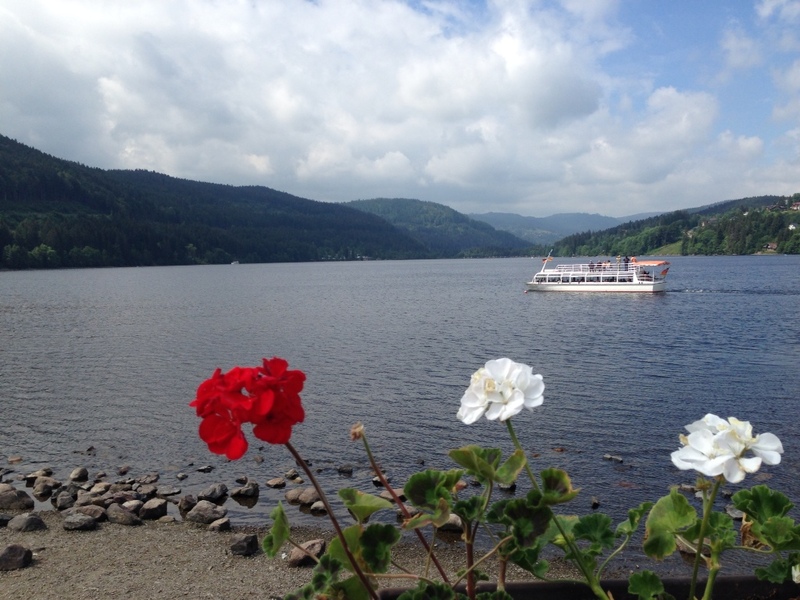 A night camping on Lake Titisee. 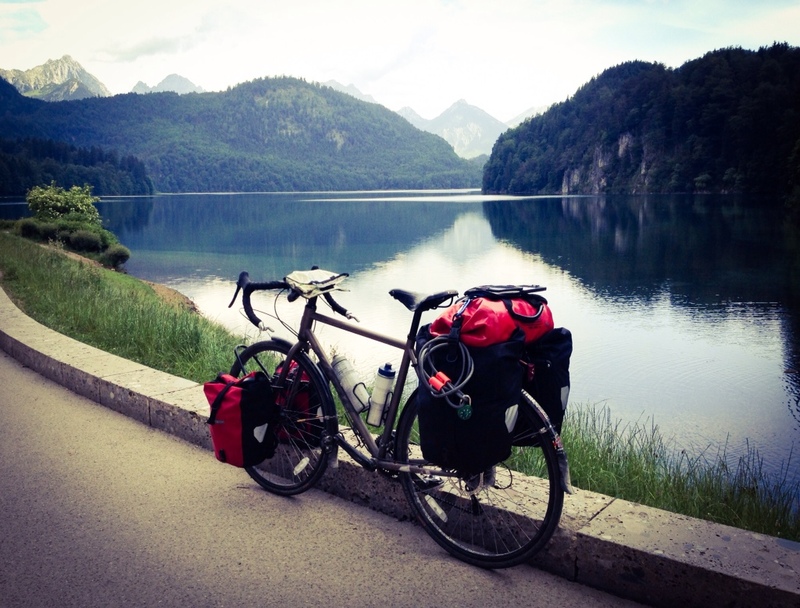 So many long distance bike routes! Quick pass through of Strausburg while racing up the Rhine. 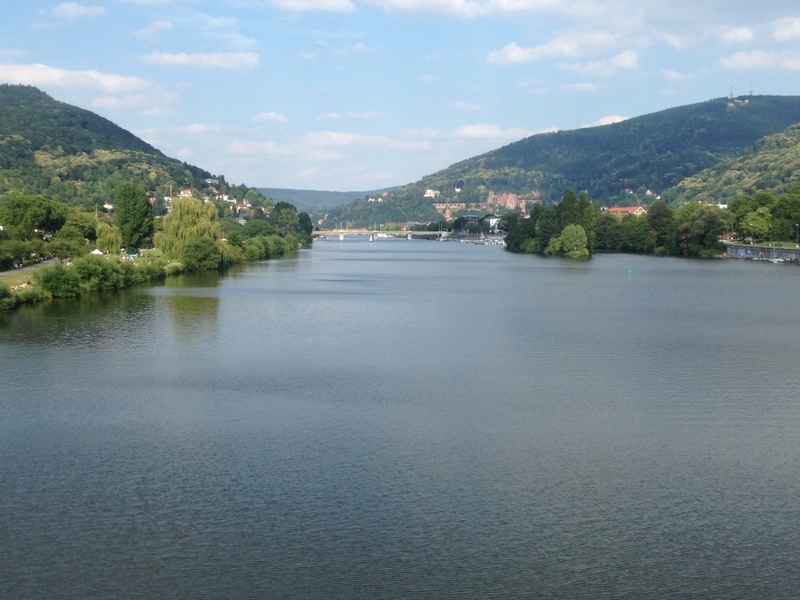 Hopped back and forth between Germany and France, cycle paths on both sides of the river. Light tailwind helped me cover a ton of ground in just a couple days of riding. Sure, I’d been riding eight hours without a real break and no, I had not an idea where I’d be sleeping that night at about 4:00 pm, but what the hell. 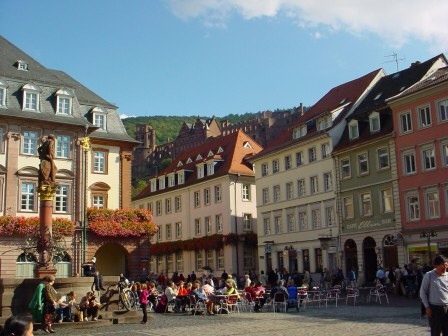 And so one more bout of wanderlust carried me northeast from the city of Karlrue for the university town of Heidelberg. 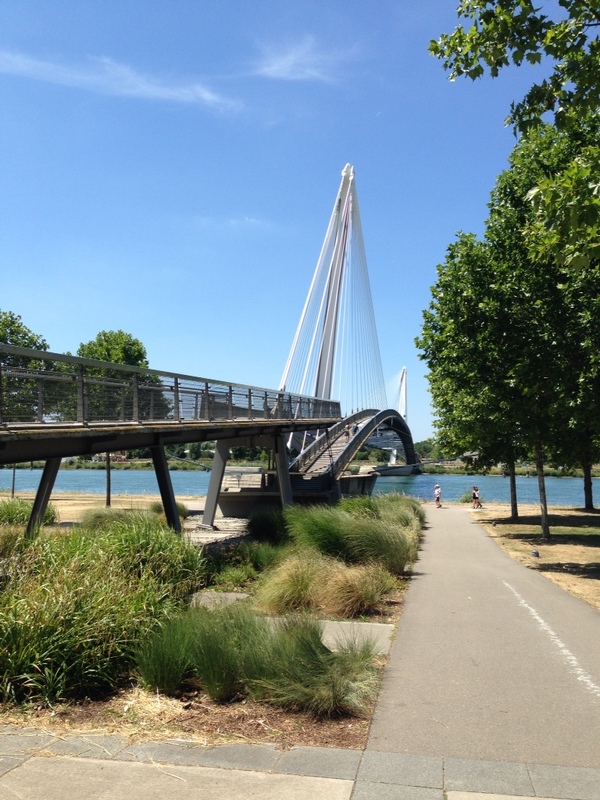 I did a couple hour tour of town, riding up and down the bike paths, enjoying watching the thousands of college students and families taking in the sun and scene at the riverside parks. I walked my bike through the old part of town mostly to avoid bouncing myself to death on the cobblestones, but also so I could fully appreciate the picturesque beauty of this place. 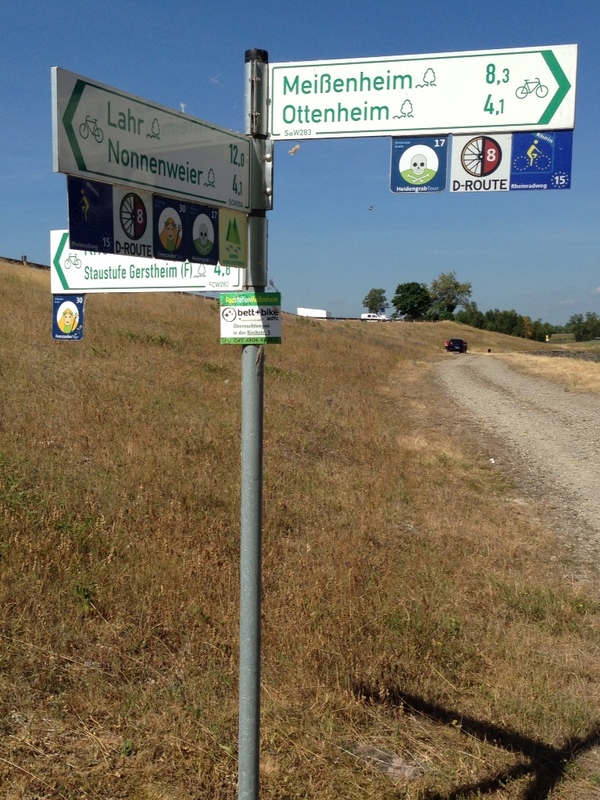 I have to admit that for the most part when I was planning my ride, Germany became part of the route because it was in between other destinations. What I’ve discovered are about a hundred places that I want to return to and at least as many more that I missed and hope to see one day. I gave myself just the smallest taste of Heidelberg, but it is definitely at the top of the list!